In honor of Pride Month, State Theatre is proud to present actor and social justice activist, George Takei! With an uncanny eloquence and signature wit, Takei shares the story of his family's forced internment as Japanese Americans during WWII—a seemingly forgotten part of American history. (Takei was recently seen on Broadway with Tony®-winner Lea Salonga in Allegiance, the musical that was inspired by his true-life experience.) He also takes audiences through his rise to celebrity as a Sci-fi icon in Star Trek, his remarkable journey as a social media mega power, and his passionate fight for LGBTQ rights and marriage equality in America—empowering others to beat the odds and make a difference. $89 Premium ticket includes a Meet and Greet with George Takei after the event! Availability is very limited. Details on the Meet and Greet will be sent approximately 3 days prior to the event. Discounts do not apply to the Premium ticket. Add this party to your order in the cart under Enhance Your Experience. Limited availability. Parties take place on the 2nd floor of the State Theatre (not wheelchair accessible). There is no elevator access, but special accommodations can be made upon request. 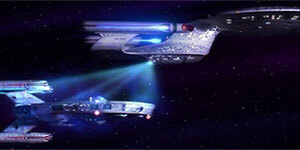 The Sci-fi television series Star Trek first debuted in 1966. Join us for a Pride Night Party before the show with hors d'oeuvres, giveaways, cash bar, and live music. This show is recommended for ages 14+. Everyone, regardless of age, entering the theater must purchase a ticket. Child seating policy details.